This month’s picks deal with more than a few losses. Whether it’s the ruins of Aude de Tocqueville’s Atlas of Lost Cities, the Italian army brought to heel by an Ethiopian army to slow European colonialism in The Battle of Adwa, or the collapse of France in World War 2 in Case Red, you’re sure to find someone or something not coming out on top. The Balfour declaration : empire, the mandate and resistance in Palestine / Bernard Regan. Directorate S : the C.I.A. and America’s secret wars in Afghanistan and Pakistan / Steve Coll. Case red : the collapse of France, 1940 / Robert Forczyk. 1947 : where now begins / Elisabeth Åsbrink ; translated from the Swedish by Fiona Graham. A dictionary of family history : the genealogists’ ABC / Jonathan Scott. 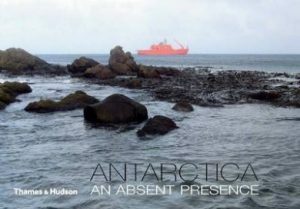 Atlas of lost cities : a travel guide to abandoned and forsaken destinations / Aude de Tocqueville ; illustrations, Karin Doering-Froger. A river in darkness : one man’s escape from North Korea / Masaji Ishikawa ; translated by Risa Kobayashi and Martin Brown. SS-Major Horst Kopkow : from the Gestapo to British intelligence / Stephen Tyas. Another year done and dusted, ready to have more history books written about it and featured in this series eventually! To start the year off, we’ve got modern China, the Goths, Hitler, the USSR, and last but not least, a re-examination of everyone’s favourite king, Richard III. Chasing the Chinese dream : stories from modern China / Nick Holdstock. Paradise in chains: the Bounty Mutiny and the founding of Australia / Diana Preston. The Third Reich in 100 objects : a material history of Nazi Germany / Roger Moorhouse ; foreword by Richard Overy. The Goths / David M. Gwynn. 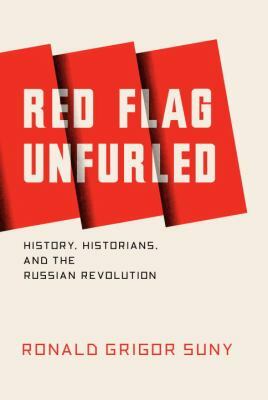 Red flag unfurled : history, historians, and the Russian Revolution / Ronald Grigor Suny. Escaping Hitler : stories of courage and endurance on the freedom trails / Monty Halls. Richard III : brother, protector, king / Chris Skidmore. This month’s history picks are largely about the negative and grim, just in time for the holiday season. Pleasant subjects like the Ukrainian famine, mistreated POWs in Britain during World War 2, and failures of military in the Middle East during the post-9/11 operations are all visited. Fortunately we have something a bit more positive to bring the mood back up with an examination of how Chaucer’s works reflected fourteenth century society, and closer to home we have a history of the Hawke’s Bay area. Red famine : Stalin’s war on Ukraine / Anne Applebaum. Richard Nixon : the life / John A. Farrell. Destructive creation : American business and the winning of World War II / Mark R. Wilson. Losing small wars : British military failure in the 9/11 wars / Frank Ledwidge. The fall : the evidence for a golden age, 6,000 years of insanity, and the dawning of a new era / Steve Taylor. The expanding blaze : how the American Revolution ignited the world, 1775-1848 / Jonathan Israel. Chaucer’s people : everyday lives in medieval England / Liza Picard. This month’s history picks see plenty of visits to the mid-20th Century, with Cold War heists, Italian WWII commandos, and post-war leaders rebuilding in the United Kingdom. Elsewhere, we go to the slightly more recent capture and subsequent interrogation of Saddam Hussein, and a controversial book from an Indian doctor regarding the influence of Britain in the creation of the systems that make up modern India. The taking of K-129 : how the CIA used Howard Hughes to steal a Russian sub in the most daring covert operation in history / Josh Dean. The cold war : a world history / Odd Arne Westad. Debriefing the president : the interrogation of Saddam Hussein / John Nixon. Decima Flottiglia MAS : the best commandos of the Second World War / Walter S. Zapotoczny Jr. The shortest history of Germany / James Hawes. Archaeology of the Solomon Islands / Richard Walter & Peter Sheppard. Citizen Clem : a biography of Attlee / John Bew. As it was : growing up in Grey Lynn and Ponsonby between the wars / Russell Stone. The making of India : the untold story of British enterprise / Kartar Lalvani. This month’s picks feature a few more books on the Soviet Union than usual – released to mark the 100 year anniversary of the Russian Revolution. 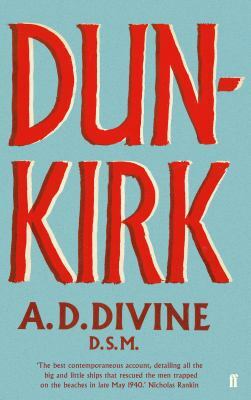 In addition, we have books covering some aspects of World War II from the intelligence side in Allied Intelligence Handbook to the German Army, to a more personal story of survival in Miracles do Happen. Allied intelligence handbook to the German Army 1939-45 / compiled and introduced by Stephen Bull. Miracles do happen / Fela and Felix Rosenbloom. History of the Russian Revolution / Leon Trotsky ; translated by Max Eastman. Love, madness, and scandal : the life of Frances Coke Villiers, Viscountess Purbeck / Johanna Luthman. Songlines and Fault Lines : epic walks of the red centre / Glenn Morrison. A short history of Britain in infographics / Ray Hamilton. The House of Government : a saga of the Russian Revolution / Yuri Slezkine. This month we have a collection of history books covering Turkey, Mozambique, Irish transportation and London, balanced out by an examination of the gastronomic habits of Queen Victoria and their context in the development of Western food, and a look back at the areas and cultures surrounding Ancient Greece and Rome. The barbarians / Peter Bogucki. The new sultan : Erdogan and the crisis of modern Turkey / Soner Cagaptay. Floating prisons : Irish convict hulks and voyages to New South Wales 1823-1837 / Anne McMahon ; introduction by Matthew Richardson. A short history of Mozambique / Malyn Newitt. Fractured lands : how the Arab world came apart / Scott Anderson. The greedy queen : eating with Victoria / Annie Gray. Bloody history of London : crime, corruption and murder / John D. Wright. The Nazis : the hidden history, the catastrophic impact of the Third Reich / Jonathan J. Moore. Shoot like a girl : one woman’s dramatic fight in Afghanistan and on the home front / Mary Jennings Hegar. The ragged edge : a US Marine’s account of leading the Iraqi Army Fifth Battalion / Michael Zacchea and Ted Kemp. The war beat, Europe : the American media at war against Nazi Germany / Steven Casey. A history of modern Britain / Andrew Marr.